As marijuana has become legalized in more and more areas and manners, more and more rulings have come out saying that this still doesn’t mean an employer can’t fire you for using marijuana. We’ve talked at length about this phenomenon and what it means for you in the past-in fact we’ve dealt with the overruled lower court’s approach to this very same case. The trend in rulings, allowing employers to punish medically prescribe, legalized, behavior done when not at duty for work is a bit of an odd trend. You can imagine the uproar if courts took a similar approach to off-duty drinking of alcohol which doesn’t impact on-duty performance-never mind off-duty use of a prescribed medication. However, just this last week the Massachusetts Supreme Court has taken a huge step as far as protecting Massachusetts employees based on medical marijuana use. They ruled it was handicap discrimination to fire a woman for using medical marijuana to combat low appetite resulting from Crohn’s disease. Let’s take a look at the facts in this legal first and what exactly the ruling means for the rights of Massachusetts employees and in a broader context. The case deals with one Ms. Cristina Barbuto, a women suffering from Crohn’s disease-an incurable ailment affecting the lining of the digestive tract . Crohn’s causes extreme intestinal discomfort, weight loss, fatigue, and other painful symptoms. As a result of her Crohn’s, Ms. Barbuto had serious appetite issues-losing dangerous levels of weight. She was eventually prescribed medical marijuana for her appetite and was able to once again reach a healthy weight. Ms. Barbuto was offered a job with a company called Advantage Sales Marketing (ASM). The caveat to this job offer was that she needed to get and pass a drug test. Ms. Barbuto told them she was a legally prescribed medical marijuana patient and that the test would come back positive. She explained the details of her Crohn’s and also told them that her marijuana use was not daily, nor would she use it before or at work. Her typical use was low doses in the evening to improve her appetite before dinner. The person from ASM told Ms. Barbuto that her marijuana use was unlikely to be an issue but that she would check and follow-up. After follow-up, the same person from ASM confirmed it wouldn’t be an issue. Ms. Barbuto reported to her first day of work, worked a day without incident, then was contacted by HR and fired her for failing her drug test. When she mentioned she was legally prescribed the medical marijuana she was told that ASM “follow[s] federal law, not state law.” She then sued ASM for handicap discrimination. Under Massachusetts law, and in general, it is illegal to fire or refuse to hire a handicapped person because of that handicap so long as they can perform the essential functions of the job in question if the employer makes reasonable accommodations for their handicap. A reasonable accommodation is basically any accommodation that does not cause undue hardship to the employer-usually by being extraordinarily expensive or difficult to accomplish. Once somebody establishes that they have a valid handicap it’s on the employer to prove that accommodations would be unduly difficult. Under Massachusetts law, Crohn’s disease is explicitly included as a dehabilitating medical condition qualifying one for medical marijuana use. Thus, the Massachusetts Supreme Court felt it was pretty clear that Ms. Barbuto had a valid handicap. ASM argued that a reasonable accommodation can’t exist because marijuana use of any type is a federal crime. This is a stance that has been successful in a number of states including California and Colorado. However, the Massachusetts Supreme Court felt that even if their drug policy forbids marijuana, ASM had to at least help the handicapped employee find an equally effective medical alternative. This process is a mandatory part of making reasonable accommodations for a Massachusetts employer. Where no equally effective alternative exists, the employer has to prove that the use of the forbidden medication-in this case marijuana-would cause them undue hardship before they can ban the medicine without committing handicap discrimination. ASM’s argument essentially boiled down to saying federally illegal means the accommodation must be unreasonable and they don’t need to find alternatives. This most recent ruling reversed lower rulings and said no on both counts. The act legalizing medical marijuana in Massachusetts specifically says that patients can’t be denied any right or privilege due to the nature of their medicine. While the act doesn’t require accommodation of using marijuana on the job, partially because federal law specifically punishes businesses which allow drug use during work hours, this wasn’t an issue here as all use was done off-duty. What’s more, the Court here ruled that the existence of a restriction on on-duty use implicitly allowed for off-duty use. The Massachusetts Supreme Court has reversed the lower court and provided protection for off-duty use by employees legally prescribed medical marijuana. However, it’s important to note how specific the ruling is. 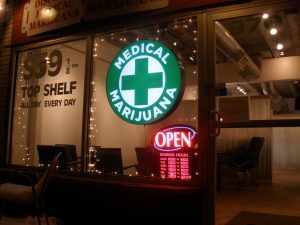 Any use on-duty is clearly not protected and it is even arguable that if an employer offers to help find alternative medication they are still free to ban medical marijuana outright. Recreational marijuana use is obviously still completely unprotected, legalized or not and off-duty or not. The ruling bucks the trend towards non-protection, but Massachusetts isn’t the first state to take steps towards protecting medical marijuana use by employees. Arizona, Connecticut, Delaware, Illinois, Maine, Minnesota, and Nevada all protect such use to at least some degree-requiring employers to accommodate use. As marijuana legalization continues to spread at the state level-the Massachusetts Supreme Court noted in their ruling that almost 90% of states have legalized medical marijuana at this point-this tension will continue to grow. If marijuana becomes as commonly legalized as alcohol, questions will certainly start to arise over whether an employer would be able to regulate an employee’s off-duty drinking. The law around marijuana is frankly incredibly unstable as long as it remains federally illegal. For now, the laws will have to keep evolving as a patchwork of inconsistent state law.